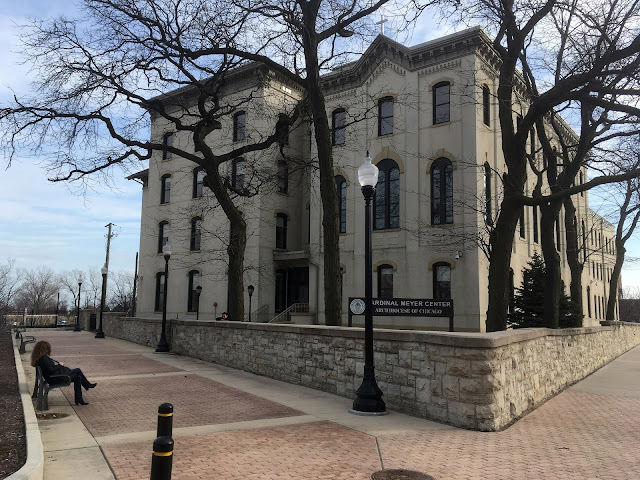 The Digital Research Library of Illinois History Journal™: The 1864 Civil War Soldier's Home at 739 East 35th Street in Chicago, Illinois. The 1864 Civil War Soldier's Home at 739 East 35th Street in Chicago, Illinois. Chicago's last surviving building with a direct association to the Civil War (1861-1865). Soldier’s Home; illustration by Louis Kurz, August 1866. 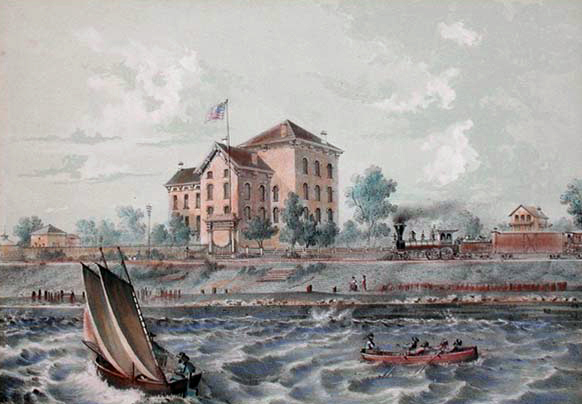 View of shelter for Civil War veterans, presenting a lively scene with a passing train on the IC tracks, and a crew of four with steersman rowing a boat, and a sailboat at the lake front. The building still exists, its south side location saving it from the Great Fire. The Soldier's Home was constructed at the edge of the Camp Douglas prison camp through the efforts of a women's group. During the war, it was a hospital for convalescent soldiers; following the war, it served as a home for disabled Union Army veterans. 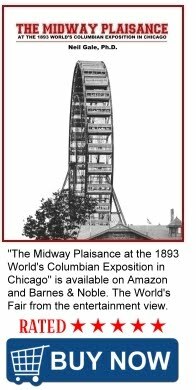 The building's earliest sections were designed in an Italianate style by William W. Boyington, the architect of the Chicago Water Tower. The structure has had several additions since then, most of them surrounding a common light well. Designated a Chicago Landmark on April 16, 1996. A Description from the 1860s. The "Soldier's Home" is located near the south-eastern limits of the city, in the immediate vicinity of the Chicago University and of the Douglas Monument. Its history is honorable to the noble ladies who protected it, and to whose labors its successful maintenance is alone to be attributed. The history of the great Sanitary Commission will live while men have hearts to remember deeds of love and mercy. But in the spring of 1863, the number of poor, weary, dIsabled and sick soldiers returning from the Civil War field suggested the necessity of some united effort in their behalf. A meeting of ladies was held at Bryan HaIl in June of that year, and it was resolved to hold a strawberry festival to raise funds. This was successful, and the building, No. 45 Randolph street, was rented as a Home for sick and disabled soldiers. The ladies then resorted to seeking subscriptions from door to door, and their appeal met a liberal response. The site of the present Home was then purchased and the buildings thereon used for the time. The house on Randolph street was used to receive the soldiers, who were then transferred to the “Home.” The building is four stories high, and is built of brick, with basement and attic, and has ample accommodations for two hundred inmates. As soon as the Home was first organized, an auxiliary institution was put in operation, known as the “Soldier’s Rest.” The Government furnished the buildings and rations, the ladies managed all the rest. The operations of the two branches of the Home for the first year were: Number of arrivals, 46,384; meals furnished, 96,909; lodgings, 26,481; medically treated, 2,557. The second year furnished the following figures : Number of arrivals, 60,003; number of meals, 167,263. During the year ending June 1, 1865, there had been 767 inmates of the Home received; many of them were provided with clothing, and all were fed. Since then the average number of inmates always exceeded 100. There are now one hundred and more sick and disabled men who are given the comforts of a home, which, to the destitute, is a boon beyond value. In 1865, the Home received $80,000, part of the proceeds of the Fair of that year held in Chicago. All else has been the result of voluntary contributions in response to personal applications and appeals by the ladies. Soldiers' Home, now owned by the Archdiocese of Chicago. Built in phases, between 1864 and 1923, by William W. Boyington. Designated a Chicago Landmark on April 16, 1996. The seventies it was a Saint Joseph boarding school for boys, Was there for 2 years it was a great experience say the see it change hands.